Linda is a digital marketing specialist at Selligent Marketing Cloud, where she supports the company’s digital content strategy and produces strategic marketing materials for the web, blog, downloadables, and other content. Linda is particularly passionate about branding, user experience design, and using human-centered design thinking to guide her communications strategy. Prior to entering the technology industry, Linda began her career in the field of nonprofit education, where she led development and communications initiatives for Brooklyn Prospect Charter School (BPCS), a K-12 charter school network serving a racially and socioeconomically diverse population in Brooklyn. Outside of her professional career, Linda is committed to supporting public education and the Asian American community. 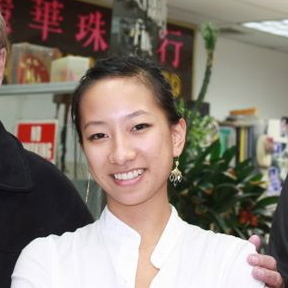 As co-founder of Shared Stories, a youth program of the Chinese Progressive Association of New York, she educated immigrant youth about current issues confronting the AAPI community in Manhattan Chinatown. She has also served on the Young Professionals boards of the Museum of the Chinese in America (MoCA) and Asian Americans For Equality (AAFE). Linda is currently the chair of Wesleyan University's Asian Pacific Alumni Association, and runs a small branding and communications consultancy for nonprofits and small businesses. A Queens native, Linda currently resides in Woodside, where she is thrilled to subsist on primarily momos and peach mango pies.